Just like physical objects can clutter our life, digital items can do the same. 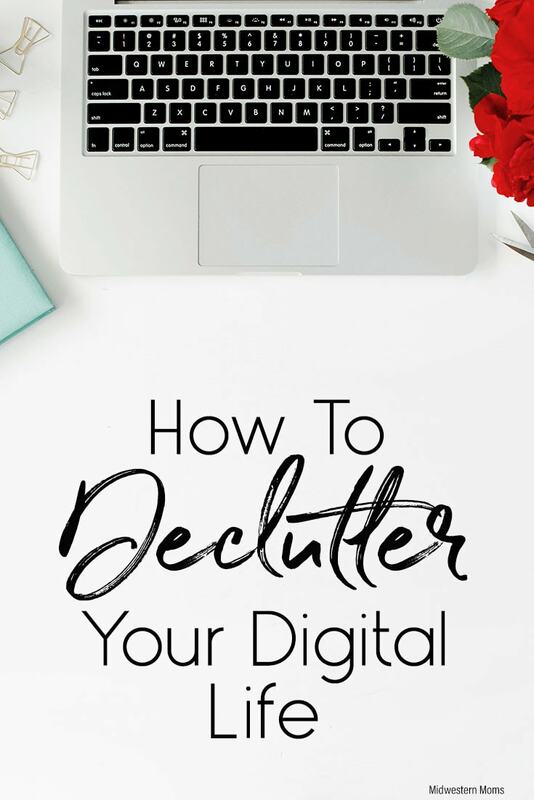 Follow these tips on how to declutter your digital life so you can breathe easier. But have you thought about your digital life? I am talking about your phones and computers. It is easy to forget these two places when decluttering. First, let’s look at decluttering your cell phone. Phones are one place that could use a serious cleaning. Go through the apps on the phone. I would guess that you do not use most of the apps. These are junking up your phone and using up space and resources. Uninstall all of the apps that are unused. Make sure the phone doesn’t depend on that app to function correctly. Just like you would weed a garden, remove all unnecessary phone numbers in your contact list. For example, did you move and have new contacts for your utilities? Remove or update your utility contacts on your phone. This simple act will save confusion later. With our phones being with us 24/7, they are handy cameras! It is great that we can capture moments when we need to, but let’s face it, there are a lot of photos on your phones we don’t need. You don’t need the photo from the store that you sent to your significant other asking if that is the right product. Seriously. Delete it. We use our phone cameras for small things like this, and we forget to delete the photo. Get rid of all the unwanted images. Grab your cell phone cord and connect it to your computer. Add all your photos to a folder on the computer. Now back up your photos to a cloud service like Dropbox or an external drive. I have this exact external drive that I use. Once you are confident that the files are saved and backed up, you can delete the photos on your phone. By doing this, it clears up space so you can keep snapping away. Now that your phone is taken care of, it is time to look at your computer. I am a Windows user, so if you have a Mac, things may be different for you. The dreaded downloads folder is the first place we need to start. If your folder is anything like mine, it is a nightmare. Files are downloaded and never moved out of there. Now is the time to look through it see if you need any of the files. If you don’t need it, send it to the recycle bin. If there is something you need, move it to another folder on your computer – not your desktop. I am talking about your virtual desktop, not your physical desk. Sometimes we put files on the desktop to quickly find them later. Let’s get these files off the desktop and into a folder. Better yet, send to the recycle if you don’t need it anymore. We don’t want to clean out the bin just yet! I like to wait a week or so before I empty my recycle bin. Just in case I accidentally put a file in there that I need. Oh, the dreaded inbox. It can be a scary place. It is so easy to look at something and move on, without actually deleting the email. Now is the time to clean it up. Promotional emails are the easiest place to start. All those emails from stores saying they are having a sale, get rid of them if they are past the date or you don’t plan to purchase anything at this time. Once the easy part of cleaning out your inbox is done, it is time to go through all the personal emails. This part of the clean-up can be time-consuming since it will require you to look at each email and verify that it is ok to delete. You don’t want to remove anything that is important. I know all this information is hard to do at once. If you break it up into several days work of work, you could be done in a week’s time. Once you are done decluttering your digital life, it is time to relax. Do you have any tips to help clean up your digital life?